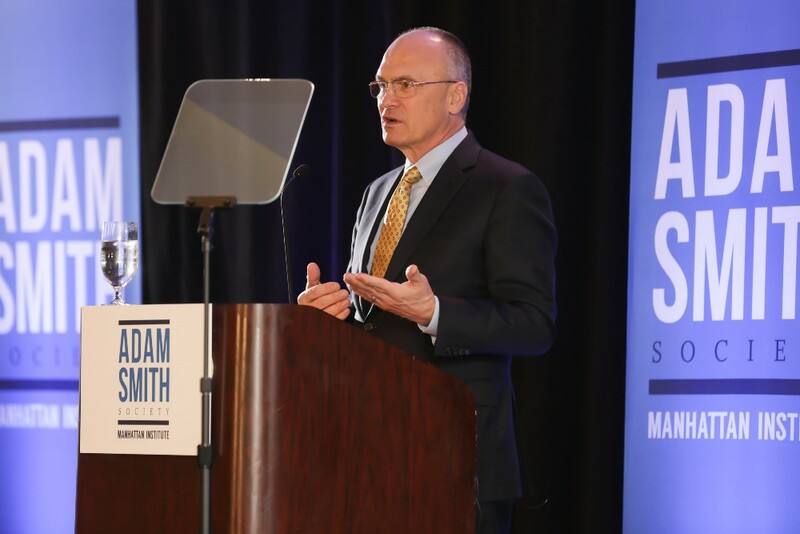 As a project of the Manhattan Institute—a leading public policy think tank based in New York City—the Adam Smith Society is able to promote thoughtful discussion on economics, public policy, and business through our MBA and professional chapters, exclusive opportunities, and global network. Needless to say, we are fans of Adam Smith — so it caught our eye when we were pointed to, via @MBAEconomics on Twitter, the news of an album "Silent Revolution," by a band named The Benevolent Dictators. With tracks such as "Impartial Spectator," the album is very much Smith-inspired, and its mix of pianos, guitars and drums add both rock and folk elements that complement the economic philosophy contained in the lyrics. Listen below and let us know your thoughts! 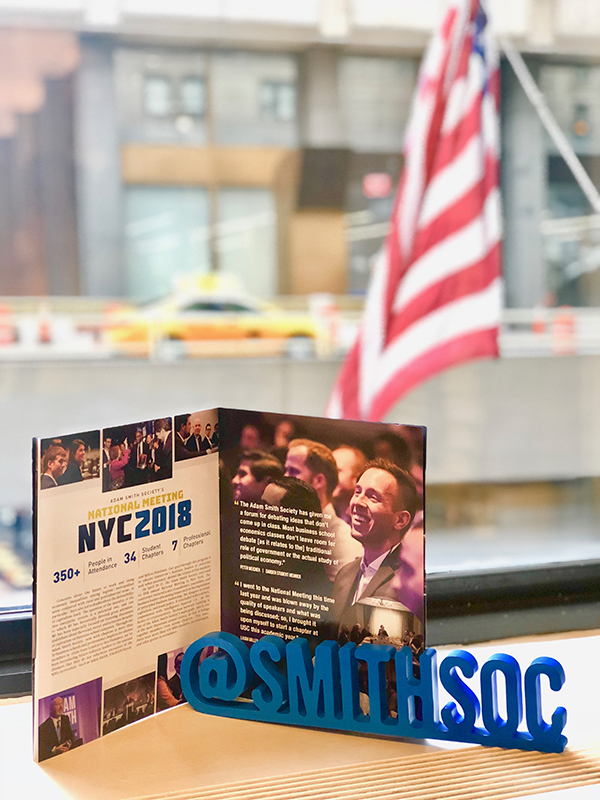 The New York City Professional Chapter of SmithSoc held its Summer Reception on the evening of Wednesday July 27 at a Midtown rooftop bar and lounge. The chapter was joined by Leon Cooperman, the founder of Omega Advisors and acknowledged to be one of the most successful hedge fund managers today. Mr. Cooperman was interviewed by Tom Keene of Bloomberg Radio. Their conversation touched on a variety of topics, including Mr. Cooperman's history in the field of finance, his advice for young professionals, and his personal philosophy of philanthropy. On April 1, a group of Olin School MBA students, including the Olin Smith Soc Chapter, helped launch the school's first annual Impact Investing Symposium. 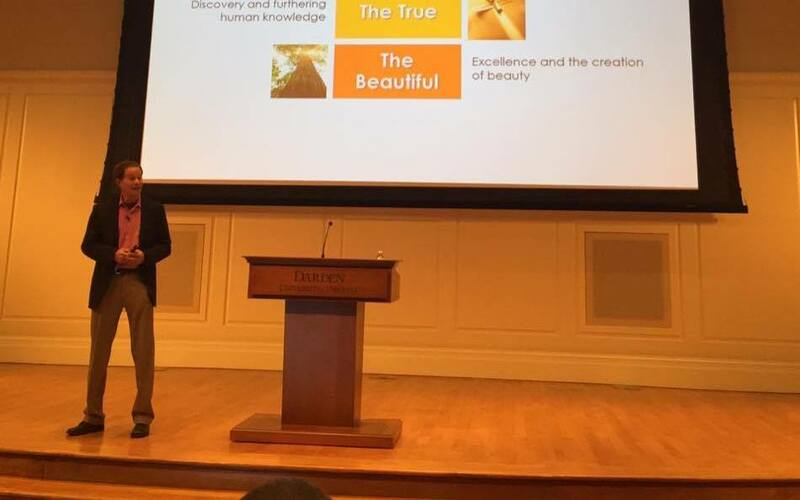 The Smith Soc chapter at the UVA Darden School of Business hosted John Mackey, CEO of Whole Foods Markets, on March 22nd. Mackey spoke on the concept of "Conscious Capitalism," which he has written and spoken about extensively. 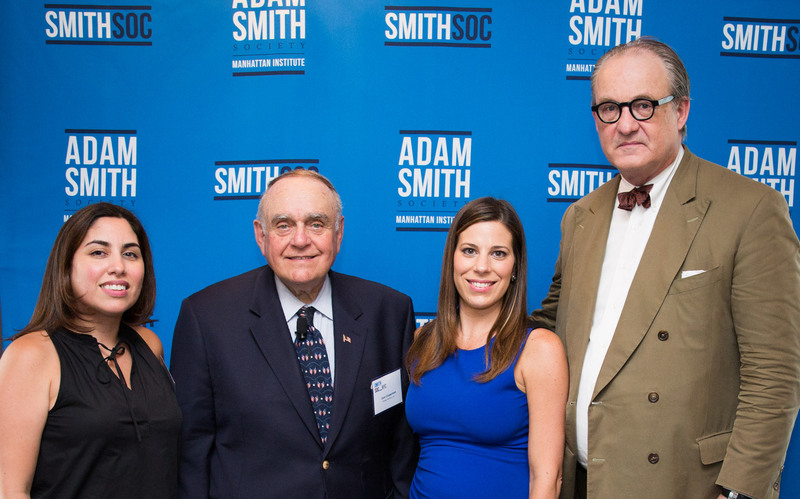 The Adam Smith Society held its fourth National Meeting on Friday February 19th and Saturday February 20th in New York City. Members from every chapter were in attendance as members were treated to a full program of lectures, disucssions, forums, breakout networking sessions, and the annual trivia competitition. The Smith Soc Chapter at the Columbia Business School hosted hedge fund manager and philathropist Paul Singer for a moderated discussion on November 12th. Mr. Singer is the foudner and president of the Elliott Management Corporation as well as the founder of the Paul E. Singer Foundation. Leading the discussion and partnering Mr. Singer on stage was Dan Senor, former member of the President George W.
The NYC professional chapter hosted a panel on April 10 asking questions that should be important to all of those in business. Should business strive to be socially responsible? If so, how? Does business have a responsibility not only to create profit for its shareholders, but to actively protect the environment and attempt to improve the lives of those with whom it interacts?